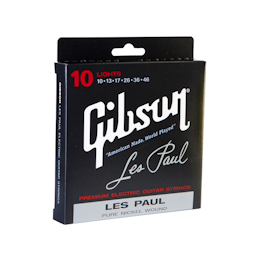 The legendary Les Paul worked with us to develop these strings. 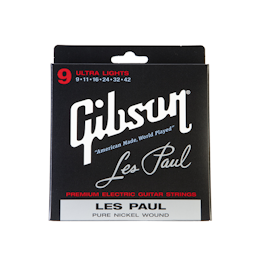 They are wound with pure nickel for a smooth warm tone that delivers a punch when you need it. 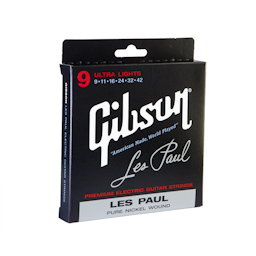 To ensure the least amount of ambient noise possible, Les Paul specified the additional detail of silk-wrapped ends. 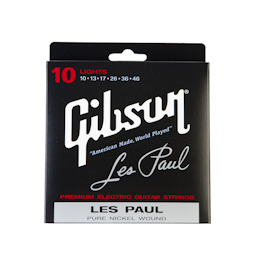 The result is a truly vintage tone with studio-quiet performance.